When contacting us on our site, as appropriate, you may be asked to enter your name, email address, phone number or other details to help you with your experience. Your personal information is contained behind secured networks and is only accessible by a limited number of persons who have special access rights to such systems, and are required to keep the information confidential. 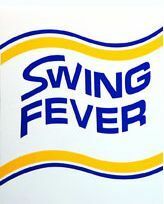 In addition, all information you supply is encrypted via Secure Socket Layer (SSL) technology when visiting the site using http://www.swingfeverband.org.